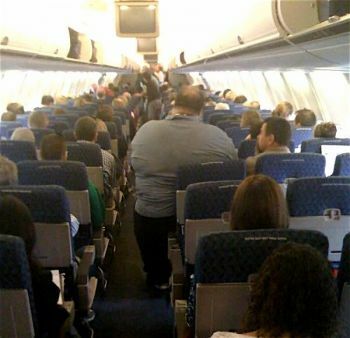 There's been much debate about how to handle overweight passengers on flights. While some airlines may charge for an extra seat, not all do — and now a flight attendant allegedly snapped a photo on an American Airlines flight (destination and take-off point unknown), which of course has been leaked to the press. Morning Coffee - my other Love! Why Can't this be Me?!?!? I Love this Cabin! What a way to go camping! Well... at least it's original! Barbie ends it with Ken.